Post Tagged with: "Girlfriends’ Guide to Divorce"
Girlfriendâ€™s Guide to Divorce wraps it latest â€“ shorter â€“ penultimate season with a few realizations, surprises and decisions for the ladies. The set of challenges they encounter are potentially life-altering. Letâ€™s catch up with our favorite ladies from Girlfriendsâ€™ Guide to Divorce as they are back to their usual personal and professional chaos after attending Mom McCarthyâ€™s funeral during last week’s episode. WARNING: Girlfriends’ Guide to Divorce spoilers On Bravo’s Girlfriends’ Guide to Divorce, Abby’s love life is always…eventful. 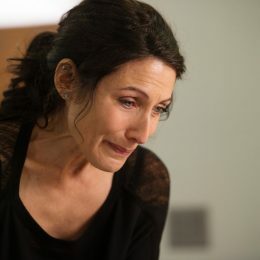 WARNING: GG2D Spoilers Abby McCarthy’s brand takes a hit when Girlfriends’ Guide to Divorce returns with new episodes tonight on Bravo. [Warning: General spoilers ahead.] 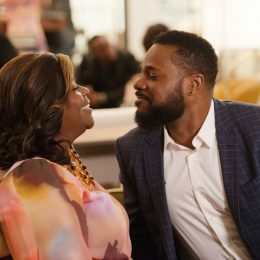 Hallmark Channel continues its thematic tie-ins with a trio of spring romances rolling out under the “Spring Fling” banner for the next three Saturdays at 9/8c. Here’s what to expect.